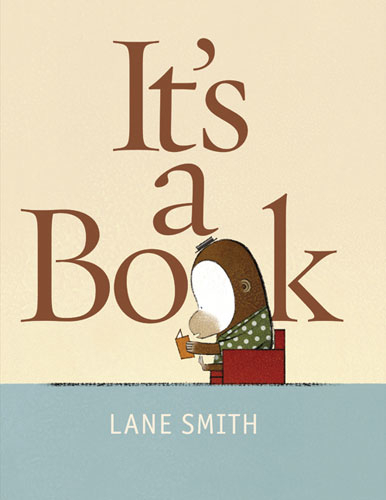 This book is delightful with lots of opportunities for connecting, questioning and inferring. 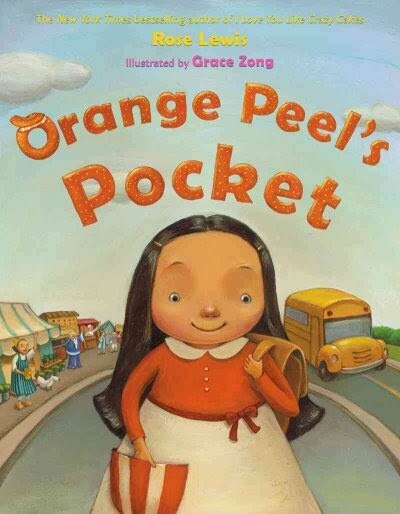 Orange Peel was born in China and moves to the US or Canada. At school she is asked many questions about her birth country but she doesn’t know the answers. Curious to find out, she goes to visit all the people she knows who were also born in China. Each person tells her something about her birthplace and secretly slips something into her pocket. Great for learning a a few facts about China and perhaps a good launch for some research. Also great for connecting: we discussed who was born somewhere else (China, Vietnam, Sweden, Ontario, Afghanistan), who had another name (many), and who spoke other languages (many). 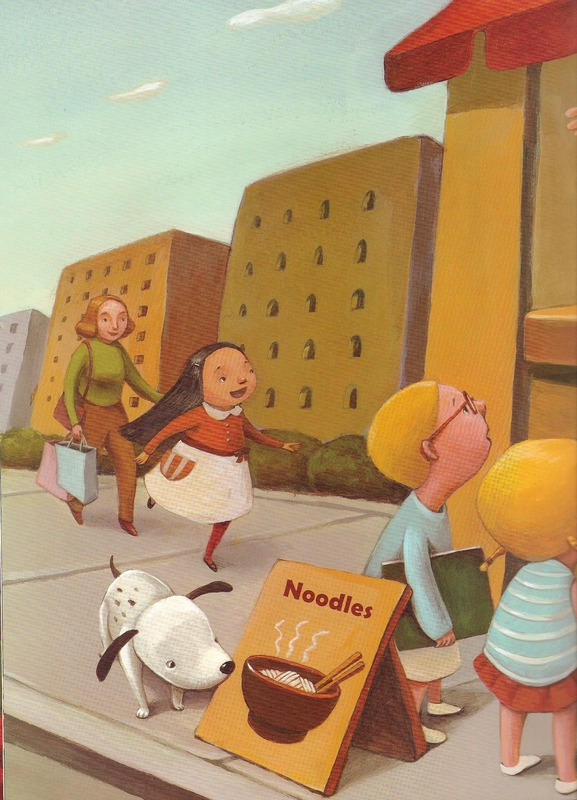 Another thing I loved about this book is that in the illustrations Orange Peel’s mother is clearly caucasion and she is Chinese, yet there is nothing in the text to explain. The class discussed many possible options including adoption, Orange Peel’s father being Chinese, and her mother actually being asian but dies her hair blonde, etc. Although becoming increasingly easier, it is still difficult to find a mix of ethnicities/visible minorities in children’s literature unless it is a ‘cultural’/ ‘multicultural’ or folklore book.